Lord Mayor Alderman Gareth Wilson pictured at the launch of the council's Community Awards with Mike Reardon (Strategic Director - People) and Diane Clarke (Head of Community Development - Acting Craigavon). Nominations are now officially open for Armagh City, Banbridge and Craigavon Borough Council’s Community Awards. The biennial awards recognise and reward extraordinary individuals and groups who have made a positive difference to the lives of others in the borough. People who reside and work in the council area are being invited to nominate potential worthy winners from all parts of the borough and all walks of life. Perhaps you know a local group that has improved facilities in your area, a tireless charity fundraiser, a young person who has made a big difference in the borough, a community activist who has taken risks to improve community relations or a group that has carried out environmental improvements in their local area? Speaking at the awards launch, Lord Mayor Alderman Gareth Wilson said: “Held every two years, this is the second time that the council is hosting these prestigious awards so that the crème de la crème of the local community, who work in a voluntary capacity, can be publicly lauded and applauded for the sterling work they do. Groups can be nominated in nine categories: Large Community Group; Small Community Group; New Community Group; Older Person’s Award; Youth Sector Excellence Award; Innovation Award; Good Relations Award; Healthy Lifestyle Award; and Neighbourhood Improvement Award. Individuals can be nominated in three categories: Volunteer of the Year; Lifetime Achiever Award; and U18 Youth Volunteer Award. With the exception of the Lifetime Achiever Award and New Community Group Award, submissions for all other categories should relate to activities that have been undertaken within the last two years. The closing date for receiving completed nomination forms is 12 noon on Friday, March 30. 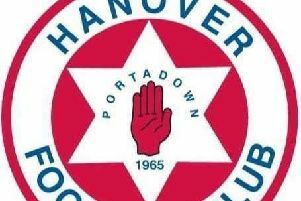 Nominations will be considered by an awards committee and the winners will be announced at a gala awards ceremony held in Craigavon Civic and Conference Centre on Thursday, May 10.